Simone Leigh (b. 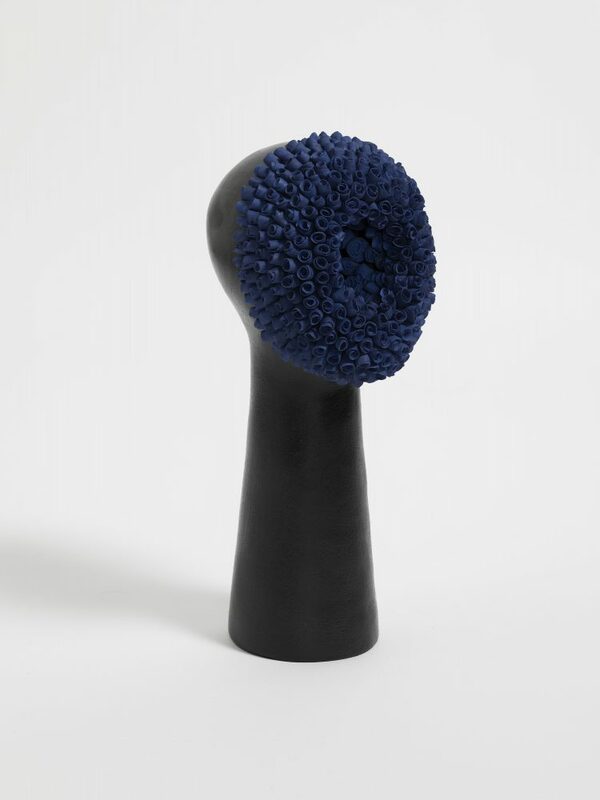 1967, Chicago) creates exquisitely crafted ceramic sculptures informed by her ongoing exploration of black female subjectivity and ethnography. 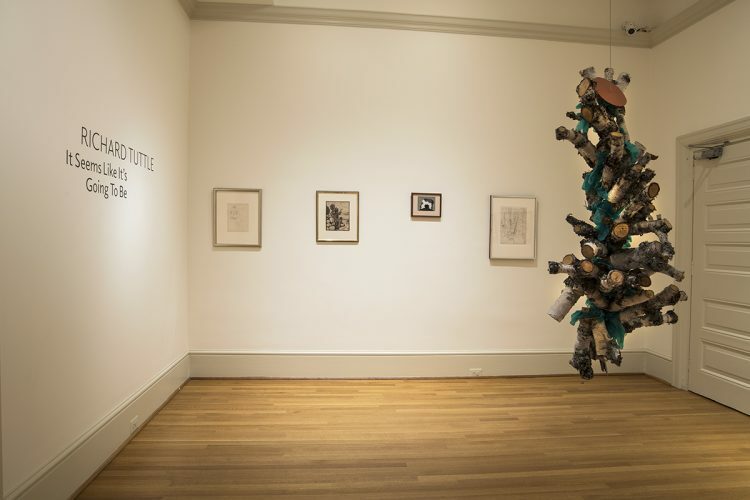 Through ceramics, Leigh references vernacular visual traditions from the Caribbean, the American South, and the African continent, as well as the black diasporic experience dating from the Middle Passage to the present. Vessels, cowrie shells, and busts are reoccurring forms, each making symbolic reference to the black body. The faceless bust of No Face (Crown Heights) is encircled by a rosette featuring dozens of tiny, handcrafted ceramic roses. Leigh thinks of her sculptures as performative in the sense that she is “performing” the work of anonymous African potters (often women). The hollowness of the works is not meant to impart emptiness or anonymity, but rather the loss of authorship associated with African ceramics. 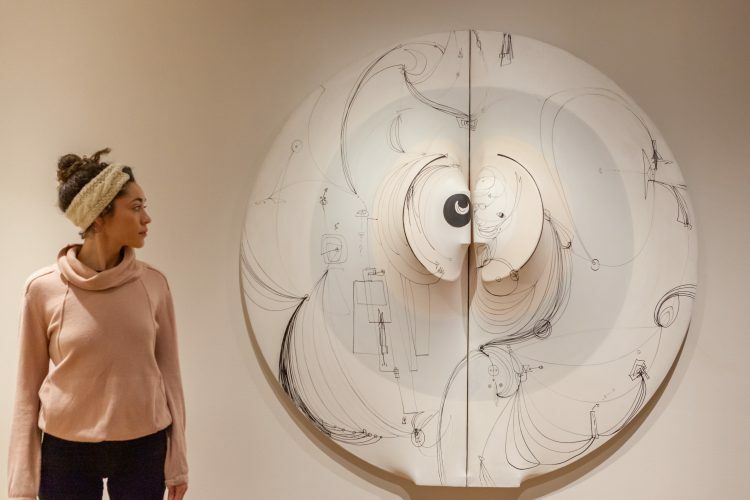 Leigh is the recipient of the prestigious 2018 Hugo Boss Prize.Her work is the collections of the Hammer Museum, Los Angeles; the Perez Art Museum, Miami; the Solomon R. Guggenheim Museum, New York; and the Studio Museum in Harlem, New York, among others. 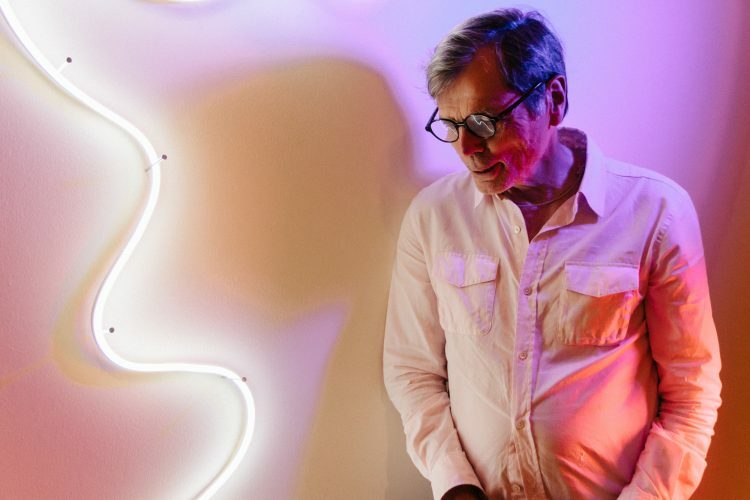 The Phillips’s latest Intersections Contemporary Art Project, Richard Tuttle: It Looks Like It’s Going To Be, has opened on the second floor of the Phillips House galleries. 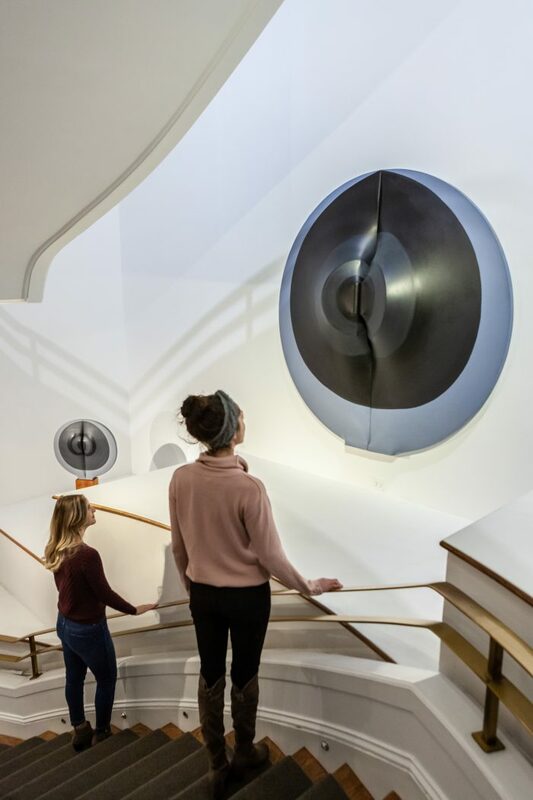 In the extensive exhibition—his “most ambitious,” according to the artist—Tuttle has paired a 41-verse poem that he wrote with 41 artworks that he created for the installation. 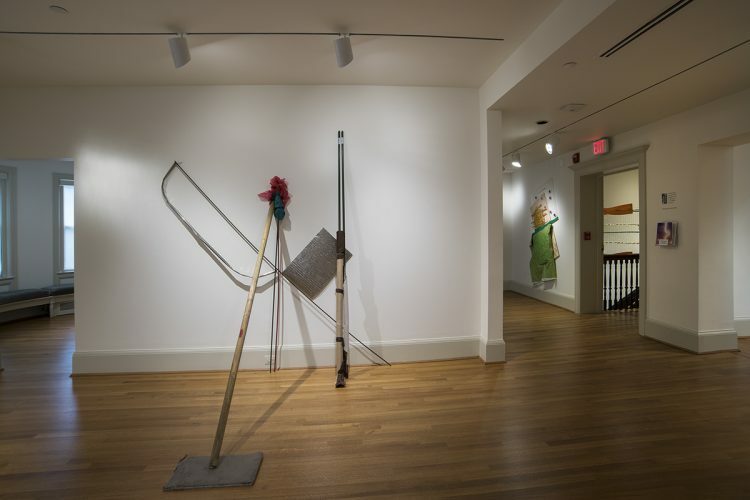 The exhibition also includes 16 works on paper that he selected from the permanent collection.